Jonah 3 is a glorious reminder of God’s grace and mercy. You may read Jonah 3 here: Bible Gateway. Although God’s deliverance of Jonah involved a fish vomiting him out (Jonah 2:10), he was given another chance to fulfill His purpose. And though Jonah’s heart remained callous in going to Nineveh, he must have been filled with awe that God would still choose him to be the first missionary to a pagan people. The Bible contains many second chance stories. Here are a couple of examples of God gracing individuals with His mercy. Aaron—Moses’ brother—may have seemed to spend more time on the sidelines compared to Moses. But God still had a high calling on his life. He not only served as Moses’ mouthpiece before Pharaoh, but also served as a pillar of support. When Moses became weary, Aaron helped hold up his hands in prayer as the Israelites waged war against the Amalekites. God gave Abraham’s wife, Sarah, a promise: She would become a mother of an entire nation of people through her own son. Although Abraham and Sarah displayed extraordinary faith in God by leaving Ur to go to an unknown place, the news that she would birth a son in her old age—after years of infertility—resulted in laughter. After waiting 10 years, Sarah decided to help God out by offering Abraham her maidservant Hagar. The result? An illegitimate son, Ishmael, was born. Although God would still bless Ishmael, the chosen seed belonged to another. Heartache and stress resulted from their decision to forge ahead of God’s time table. But God still blessed Sarah by enabling her to give birth to the promised son (Gen. 17:17-21). Hopefully you are on track with God’s plan and not slipping down the slide of rebellion as Jonah did, (or dodge God’s directive(s) like I’ve done before). Although there are consequences for our disobedience, I’m so glad God is a second-chance-giver. Yes, He is the Great Judge, but He is also the Master Mender, Beauty-for-ashes Exchanger, and Hope Healer. Restoration is ours when we return to Him. Do you recall a time when God gave you another chance to fulfill something He asked of you? 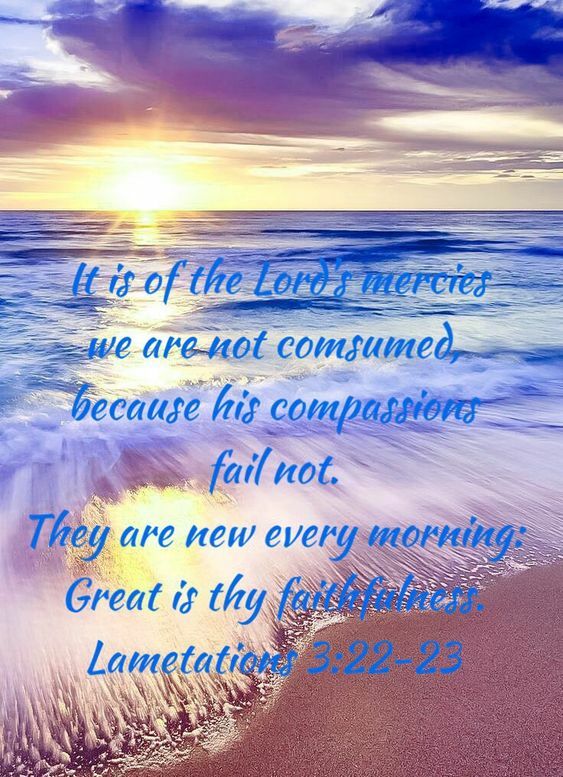 This entry was tagged Bible Study: Second Chances (Jonah 3), Christianity, God's compassions and mercies are new every morning (Lamentations 3:22-23), God's faithfulness, God's grace and mercy, hope and restoration, second chance stories of Aaron (Exodus 32:1-5) and Sarah (Gen. 17:17-21). Bookmark the permalink. I thank God every day for second chances. Each day is a new beginning.